I want to get into the nitty gritty of the songs that should be in your book, but that needs more time and organization on my part. It will definitely be a multipart blog. As of right now I have it divided into about 10 blog posts, that seems excessive. I'm trying to narrow that down. As you can imagine I have a lot to say on the subject of what's inside your book. I want to present it in the best possible way. So I'm still working on it. So this week we’re going to talk about the inside of your book. How to organize it, how to present it, how it should be laid out. Keep in mind, these are just my opinions, as I always say… I have pianist friends that will disagree with what I’m about to say and pianist friends that will agree with I’m about to say. This is by no means a comprehensive listing of the genres that should be in your book. I’ll get into that at a later date. 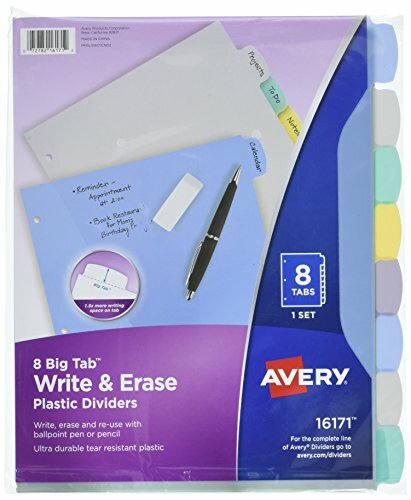 I like these dividers because they have erasable tabs you can write on and they are sturdy. Inside each section you can organize how you want. I recommend putting all your ballads together in the front of the section and all your up-tempos together in the back of the section. Each in alphabetical order. I would organize the sections in your book chronologically. Start with the earliest written songs and work your way to the more contemporary stuff. Boom, organized. That’s how we roll. What was that casting director person? You want to hear a lyric traditional music theater song? No worries, it’s right here in my book. And here are my options. Also, at the very front of your book should be a table of contents. You’ll replace this and update it every time you add new stuff or throw away old stuff. This is great to have when you are asked what else you have in your book. Don’t go flipping through at a million miles an hour arbitrarily throwing out song titles as you see them. Look at your table of contents that is broken down by category. It couldn’t be easier. Plus a lot of times the pianist in the room will have a really good suggestion as to what you should sing if they ask for something else. We’ve been there all day, we know what the room wants to hear. Trust our suggestion, but don’t let it change your mind if you have a killer second song that you knew you wanted to sing. Have one. End of discussion. I say yes. If and only if they are on the thicker side and non-glare. Don’t buy the flimsy Rite-Aid sheet protectors that reflect light better than my mirror. The awkward angles we have to twist our head to balance out the reflection is a musical unto itself. 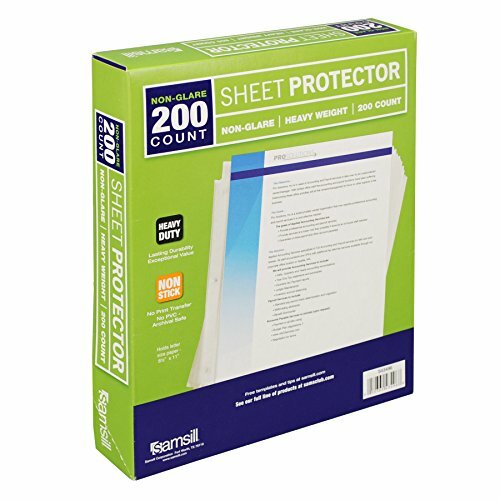 Spend a little money on some solid sheet protectors. Like the ones to the left of this paragraph. You’ll use these over and over, and for years. It’s a one-time investment. Also worth the money are foldout sheet protectors. Ones that allow you to open up an extra page. You can have a 4 page audition cut laid out on the piano and never have to take anything out of your book! And I don’t have to turn pages. Do it! I know they exist, I can't find them online right now. But they can be your best friend. Thin - the cheap thin sheet protectors are why lots of pianists hate sheet protectors. They are useless and make reading your music next to impossible in the glorious fluorescent lighting of most rehearsal studios. Quick-Loading Sheet Protectors - These are absolute garbage. They fall open as you turn pages and mess everything up and block the page from being turned properly. These should all be rounded up and thrown over a cliff. Pure garbage. So this is an uneventful and unexciting blog post. I apologize. But it’s worth noting that all of this stuff is important. We’ll get into the songs of your audition book shortly. That’s where we’ll have some fun. Our first series of classes will be announced in less than a month! So make sure you sign up for the Newsletter to be the first to know and have early access to attend. We have some exciting people lined up! Everyone have an amazing Thanksgiving week. Until then. Go for the Cheddar Biscuits. Leave for everything else. What can I say, I have a soft spot in my stomach for those Cheddar Biscuits. Everything else is horrifying. So get the free stuff and leave. Until then, every audition counts.